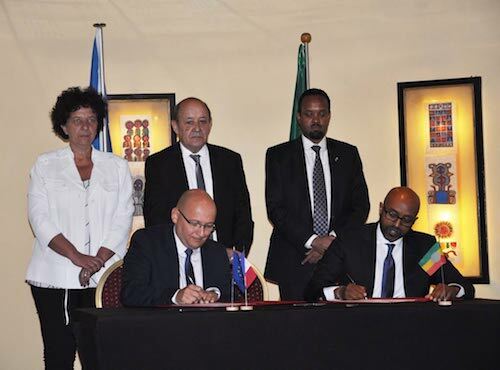 The agreement was signed on March 13 in Addis Ababa in the presence of the French Minister for Europe and Foreign Affairs Jean Yves Le Drian. The two companies aim to offer their customers dedicated services in accordance with the best international standards. They also pursue the ambition to improve the supply chain of various strategic sectors of the country such as textiles, coffee and various industrial projects and infrastructures. 15M € will be invested in the construction of a new secure and modern logistics hub. This project includes the erection of 12 000 m2 multi-activity warehouses on a space of 5 hectares.